Ok, I'll keep this short and sweet because frankly, I think Cinnabon gets way too much credit for randomly revamping products with their "unique" blend of cinnamon. 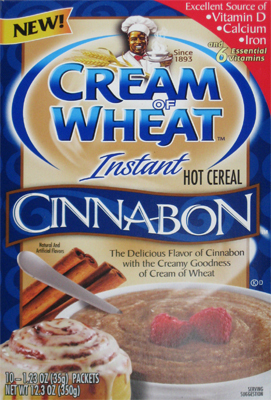 I adore cinnamon products, but I could care less about Cinnabon branding after trying Cinnabon cereal, Cinnabon snack bars, Cinnabon this, Cinnabon that, and now Cinnabon Cream of Wheat. The only exception to me has been the Cinnabon (original) pancakes which are pretty decent, but that's probably because they are more mild than the other products. Here's the box so you know what (not) to look for. 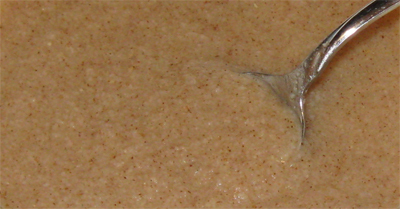 Usually we keep a box of maple brown sugar cream of wheat in the house for food emergencies (i.e. when we don't want to cook). That's right! Ice cream makes everything better! I did this for the heck of it and to my surprise, it wasn't that bad! Call me shocked that the two textures have a bit of chemistry together. Now don't forget that I'm using the rather lackluster stonyfield froyo here. Actually, it technically made the froyo taste better too! 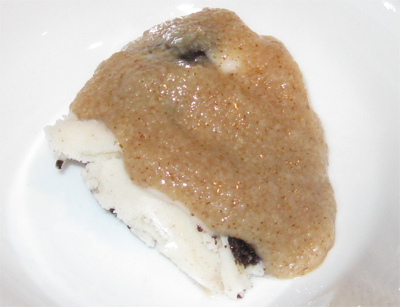 I've taken too uninspiring products and created a half decent treat that now has more vitamins, an extra gram of fiber, and 3 extra grams of protein. HEHEHEHEHEHE. Ahhhh, it's fun being crazy sometimes.